Meet Molly Hale. She’s been the CIA’s public voice since 2002, responding to faxes, phone calls, emails, & snail mail sent to the Agency. 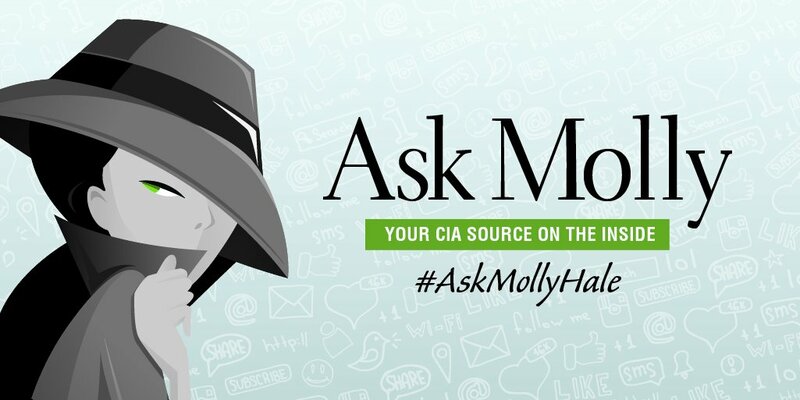 Molly will be answering your questions in a new series called: Ask Molly.  Submitting a question is easy! Just use #AskMollyHale. Check the CIA.gov blog & our official social media accounts regularly to see if your question is featured. 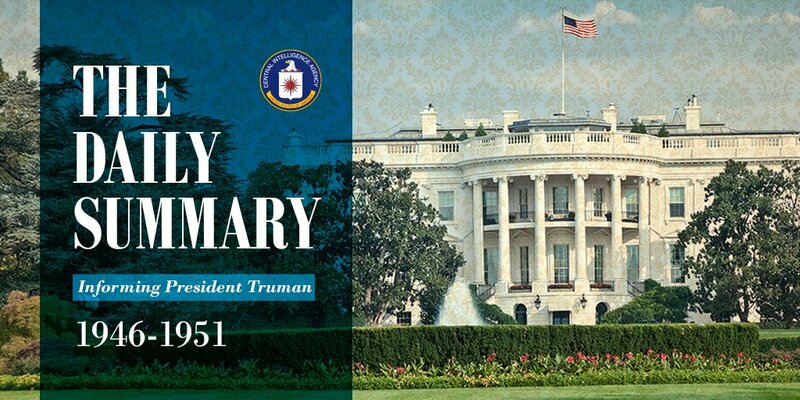 Today we released the 6th & final set of declassified daily intelligence reports President Harry Truman received from CIA & our predecessor organization, the Central Intelligence Group, between 1946 & 1951. Today’s release totals 723 pages of Daily Summary reports from 1950-51—a time that saw war come to the divided Korean Peninsula. In addition, this release includes reports about the growing tensions in Indochina, particularly French activities in Vietnam, & the widening rift between Yugoslavia & the Soviet Union. This weekend we lost one of our most legendary Agency officers, Antonio “Tony” Mendez, the inspiration behind the Hollywood blockbuster #Argo. In honor of his legacy, we are sharing this painting of Tony & the Argo mission from CIA’s Fine Art Collection. 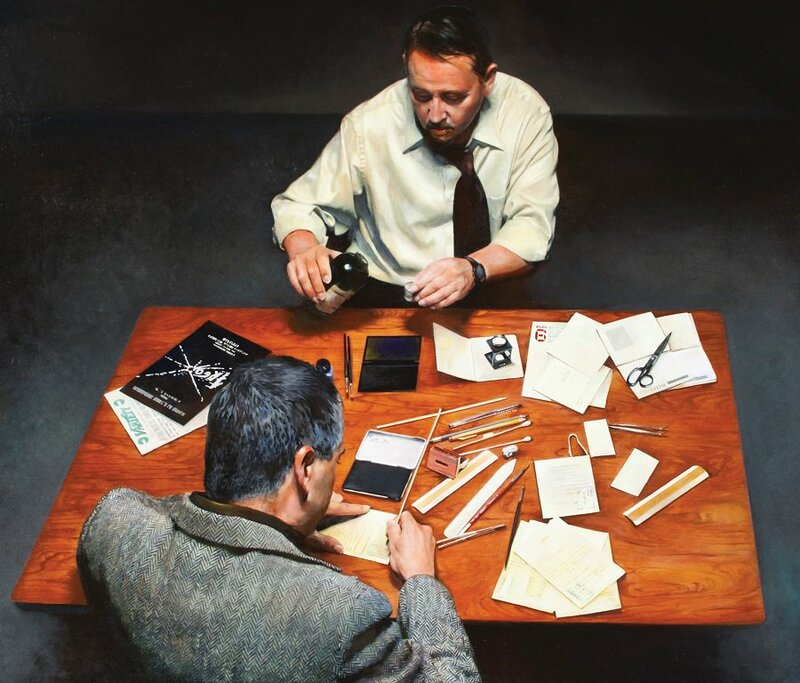 The painting titled, “#ARGO: The Rescue of the Canadian Six” was painted by CIA DS&T officer, Deborah Dismuke. Deborah was both the first female & the first Agency officer to have artwork displayed in CIA’s Intelligence Art Gallery. Tony began his CIA career in 1965 & spent 25 years as a document counterfeiter & disguise maker. During the Cold War, he painstakingly devised critical deception operations in places like SE Asia & the former Soviet Union. 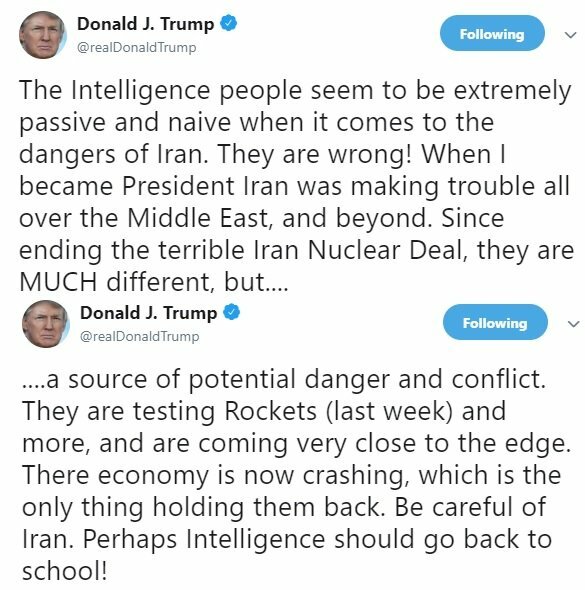 Let’s talk about U.S. President @realDonaldTrump’s latest tweets about #Iran and the threats posed by this regime. 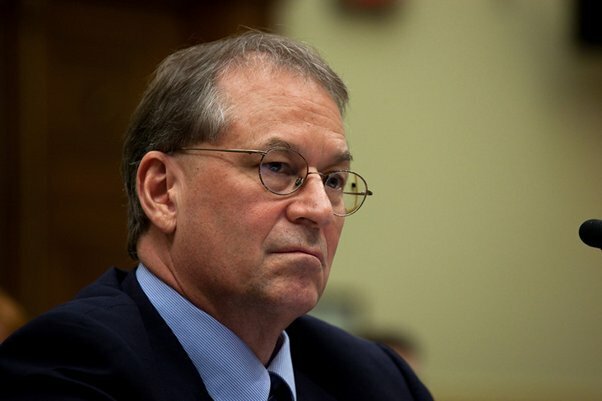 The U.S. intelligence community believes #Iran’s regime has not taken the necessary steps to acquire nuclear weapons. A similar assumption was made back in 2007. 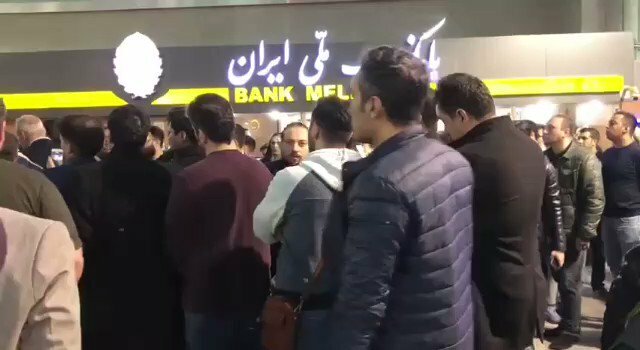 Activists posting video of people rushing to banks, such as this Bank Melli, demanding their money as there is word of #Iran's state banks possibly going bankrupt.  #IranUprising is kicking in, terrifying the ruling regime. 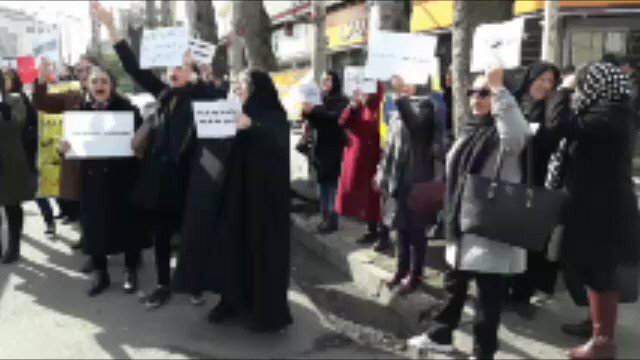 Investors demanding their money back from the IRGC-affiliated Caspian credit firm, chanting "Hidden hands, where is our money?" 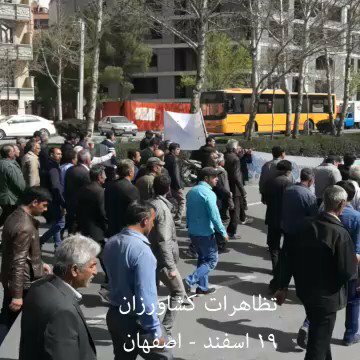 Municipality workers rallying & protesting not receiving their paychecks for the past 8 months.